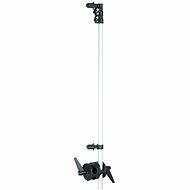 Studio stands are used primarily for studio photography. 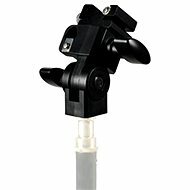 They are used to mount studio flash equipment , continuous lighting , reflectors, studio umbrellas and softboxes. 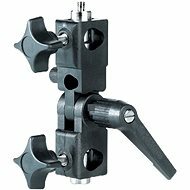 Compared to classic tripods, studio stands have reinforced construction, and some have castor wheels to make moving them easier. 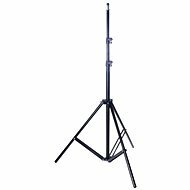 Studio stands typically have a maximum load capacity of 10kg, because they are reserved for photo accessories such as flash equipment, additional lighting, reflectors and photo backdrops. This specifies the height at which the stand can be set. 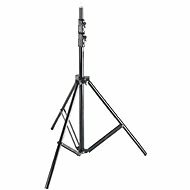 Compared to tripods , studio stands offer a greater range of height settings - from 80 to 300cm (sometimes even more). A larger operating range allows you to customise the scene according to the your requirements.